I like my food to be flavorful…… and yummy!! That’s one reason I could never bring myself to eat oats, the boring way they’re meant to be eaten. Yet, knowing how nutritious they are, I keep searching for interesting ways to include it in my breakfast. Earlier, I had shared the recipe for Oats Chilla which many of you tried and the babies I am told, loved it! Interestingly, the Oats Upma tastes better the regular sooji upma that we all are so used to. 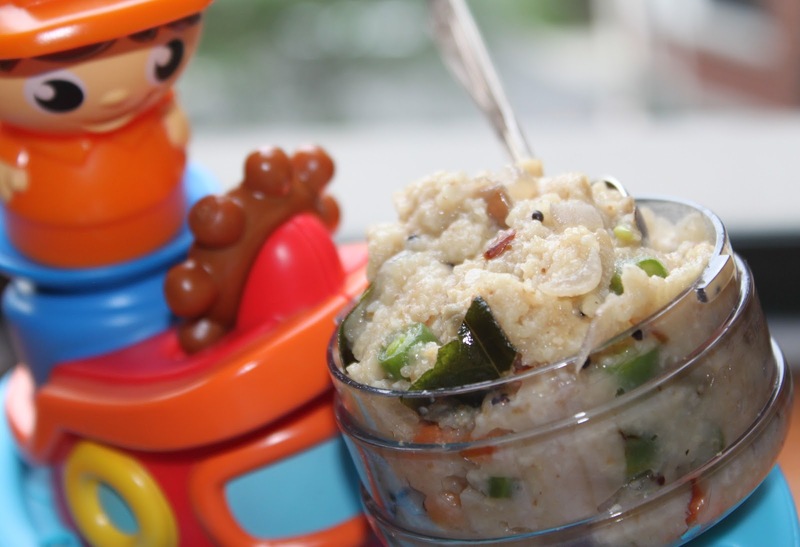 I believe Oats Upma is an even healthier alternative both for grown ups and children. wish there were step by step pics..